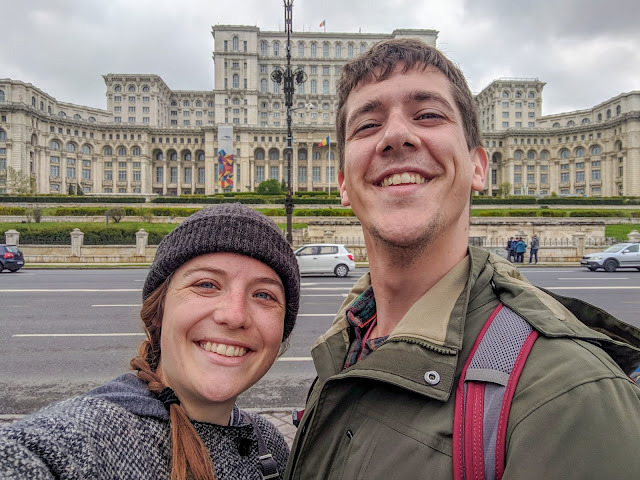 Our squinty faces because it was deceivingly bright out, in front of the Palace of Parliament in Bucharest. 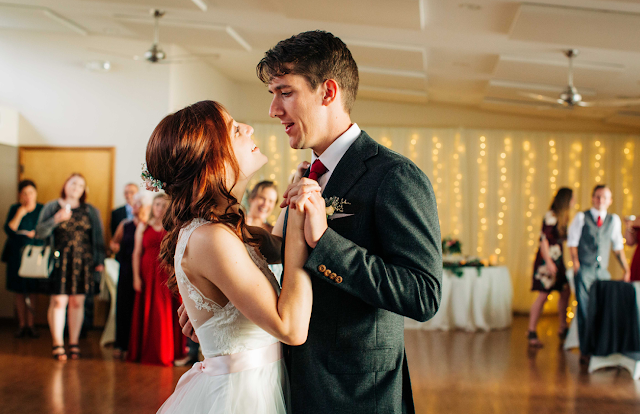 It's been a while since we posted, but not at all because little has happened; we've been jumping around from place to place more rapidly than we were in previous months, covering 4 countries and now 7 cities since the beginning of March. 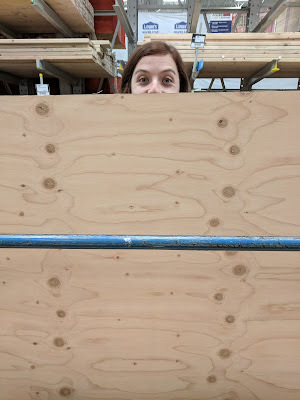 We probably should have been writing and posting more frequently, but now it feels difficult to sum everything up in a post. I'll do my best. I write to you today from our hostel in Bucharest. It's one of the better-rated hostels, and while the decor is cute, there's a "sky bar" attached, and the people are friendly and social, we've discovered it has more shortcomings than perks. We move to an Airbnb in a couple of days that is costing us the same price as our hostel dorm beds, but it wasn't available any sooner. I'm digging into the self I developed in our car-camping days; the one that can go about a week without a shower and still feel like a human. (There are technically 4 available shower stalls in our shared dorm bathroom. Not one of them is worth it, each for different reasons.) We learned quickly that Bucharest is a night-life city. This is an interesting change of pace from the quiet Romanian towns we were in just before this (Brasov and Timisoara), but we wish we'd really known what we were getting into before booking the hostel "with great views of the bustling Old Town," AKA situated in the midst of the loudest bar and club scene in Bucharest. The old-fashioned windows in our dorm room that provide us with those attractive views of the cobblestone streets also let in all the raucous noise from at least 6 different bars (playing different music, of course), street performers, and drunk people on their way home. Oh, well. Part of this whole travel thing means being exposed to different and often unexpected circumstances. Today we are cozied up in my bottom bunk, waiting out the heavy rainstorm, and listening to the--I wish I could say "gentle" but that would be a lie--snoring of a dorm mate who made it home around 6am last night. 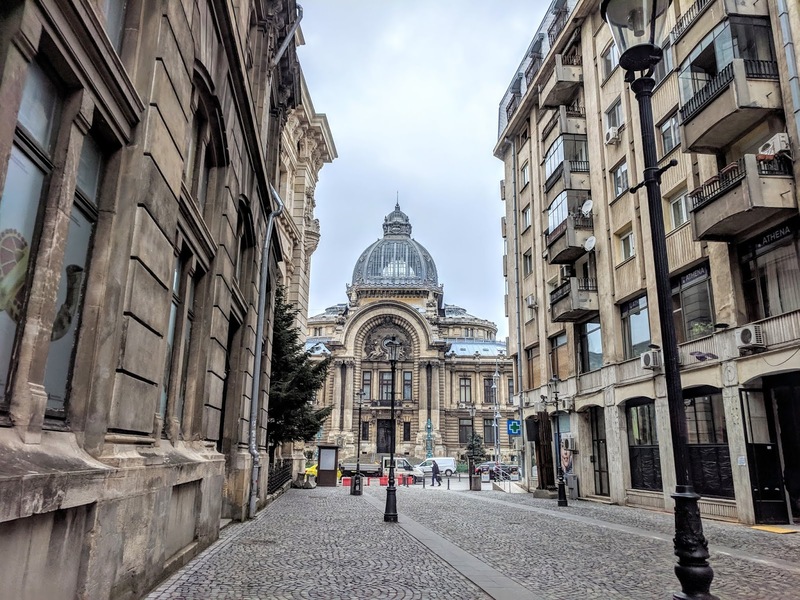 However, we are optimistic about Bucharest itself, especially once we'll have our own space (and bathroom) and the rain passes. It's nicknamed "Little Paris," and along with some pretty cool architecture and gorgeous parks, it has a complicated and interesting history. We are here for almost two weeks, so no rush. 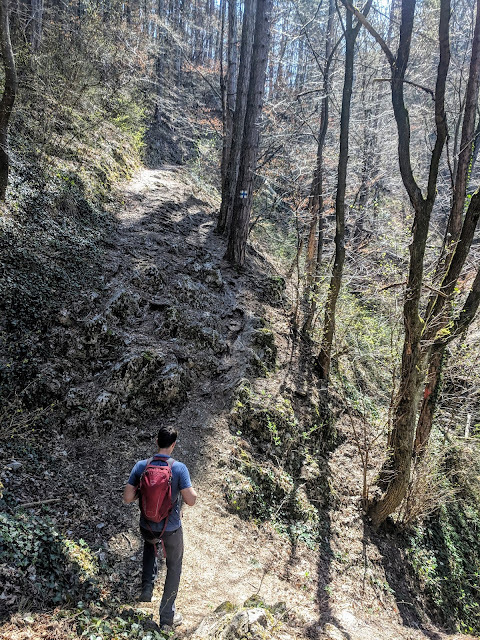 We got to hike in Brasov, with trailheads starting just a few hundred feet away from our apartment on the hill. We were feeling the draw to nature, for sure. 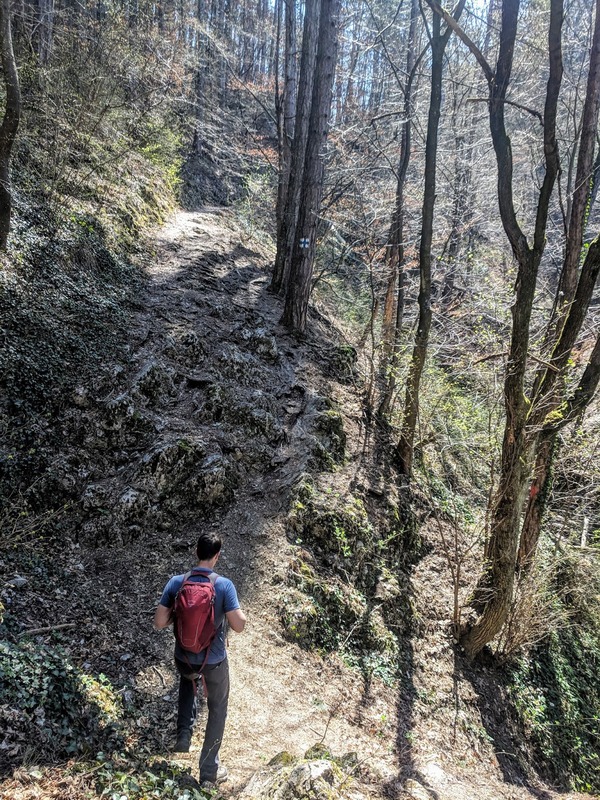 Actual hiking trails, not just paved roads! We also got to take a day trip to Bran Castle of Transylvania. Maybe you've heard of it? 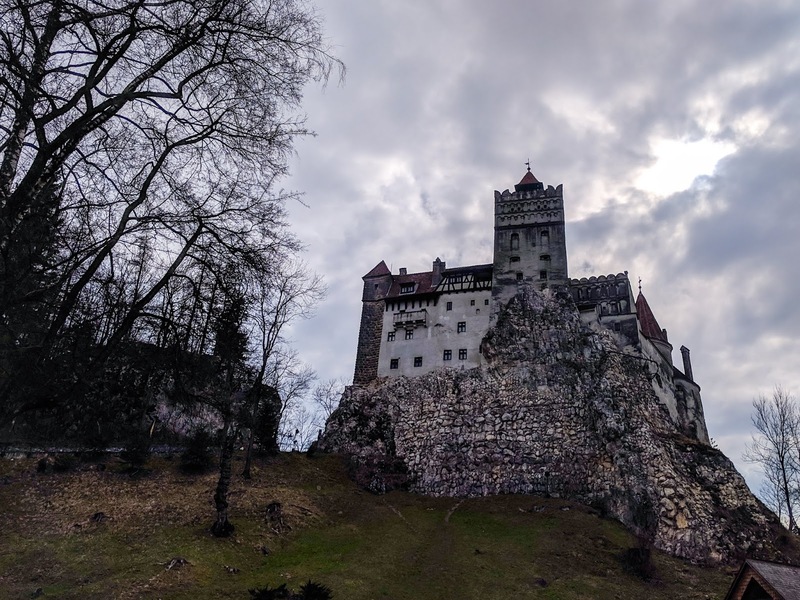 They call it Dracula's Castle. It sits, foreboding, on the rock above the village of Bran, about a 40 minute bus ride from Brasov. It was the kind of castle with lots of twisting staircases and passages to explore. 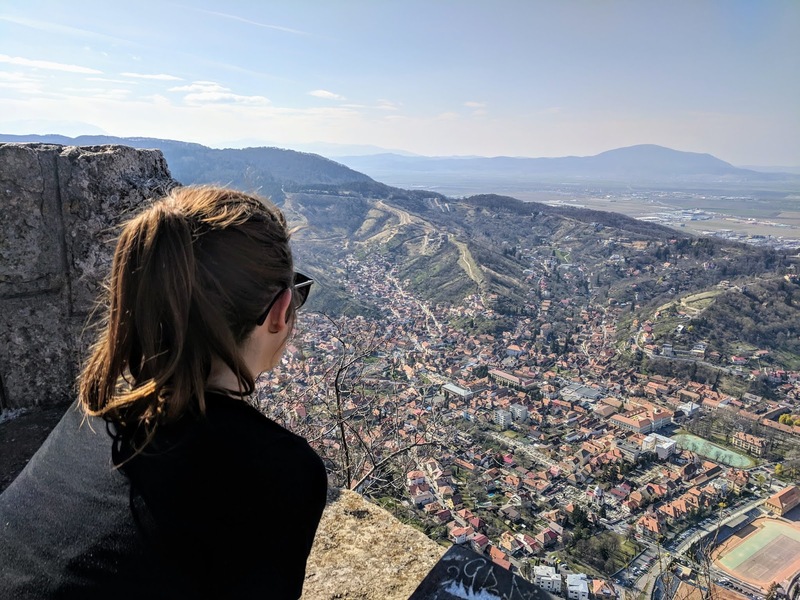 Brasov wasn't originally part of the itinerary, but multiple people raised their eyebrows when we mentioned our three full weeks in the country's capitol. (We were remembering how quiet and relaxing our month in Paris had been, and were quickly getting tired of new destinations every few days.) 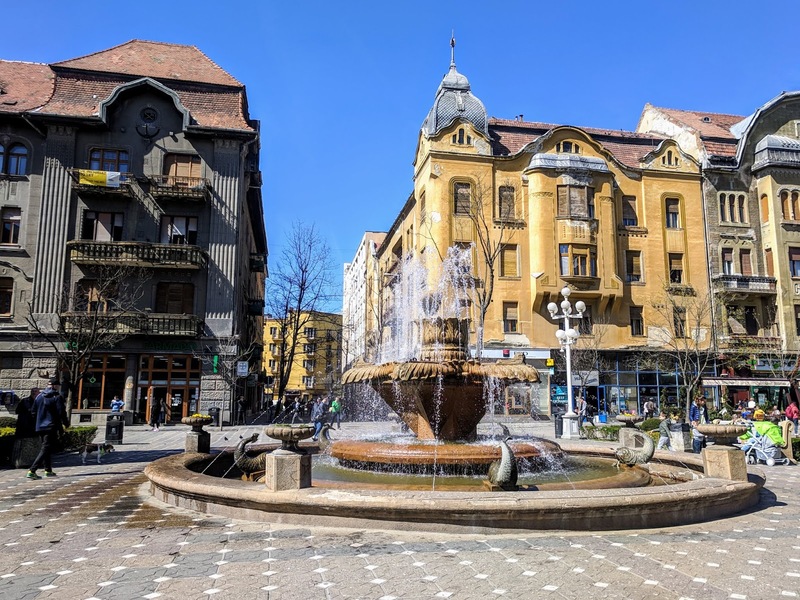 Finally we were talked into changing our bookings (shoutout to Razvan) and adding a stay in Brasov after Timisoara. 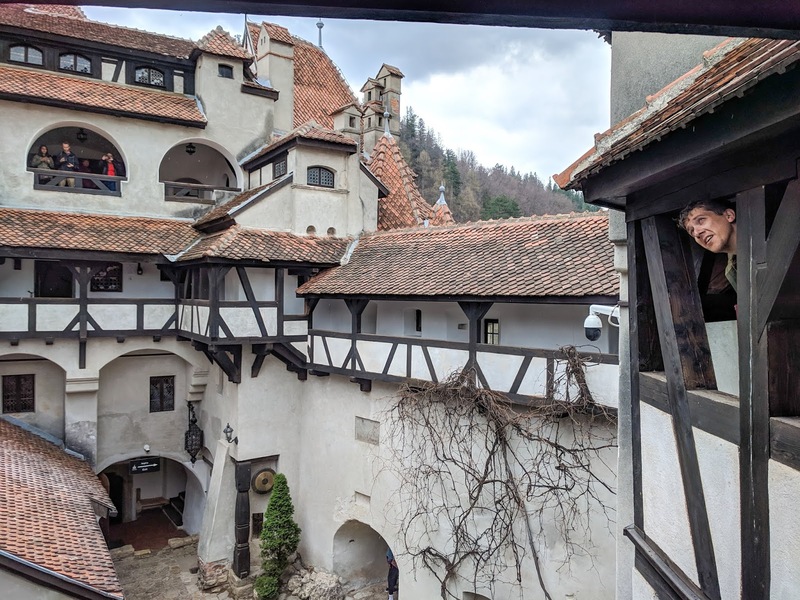 We accidentally went through the Bran Castle loop backwards first. So we did it a second time, the correct way. 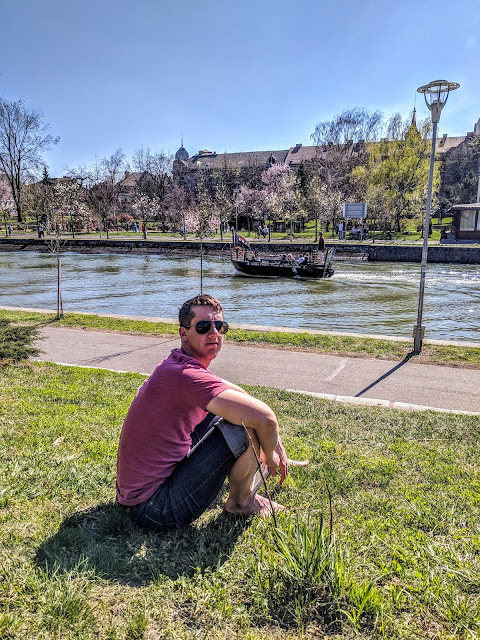 Timisoara was also a delightful week. It was a necessary stop after Serbia, as it's where the "transfer service" (AKA the van that we ordered via WhatsApp text to pick us up in Belgrade and take us across the border with about six other random individuals) dropped us off. We stayed in a hostel in the very center of town, but the hostel was surprisingly quiet; our 10 bed dorm was almost full over the one weekend, but there was a night where we had the whole place to ourselves. The weather was fantastic for our week, as well. 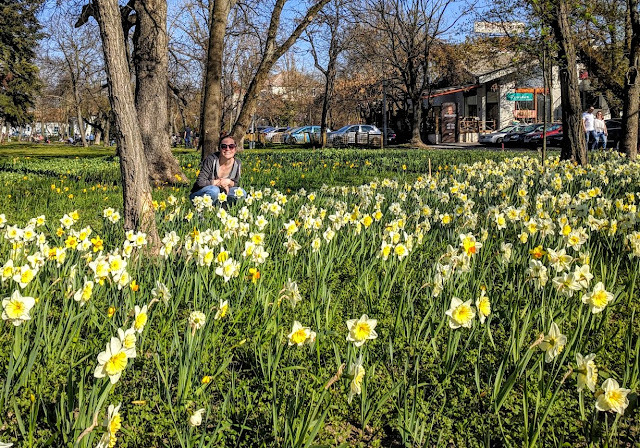 Timisoara's nickname is the "city of flowers," and it is full of gorgeous parks and a lazy, tree-lined river. We spent most of our days in the sun, reading in the grass, and then trying out a couple of the outdoor bars in the afternoon. We slept a lot. My pasty face got tanned enough that friends and family noticed over video calls, so that's something. A fountain in the biggest and busiest city square. He only looks grumpy because I told him I was taking a picture. You've seen my blog post about Sarajevo, I hope. We followed up the Bosnian capitol with Belgrade, a much bigger city with a totally different vibe. 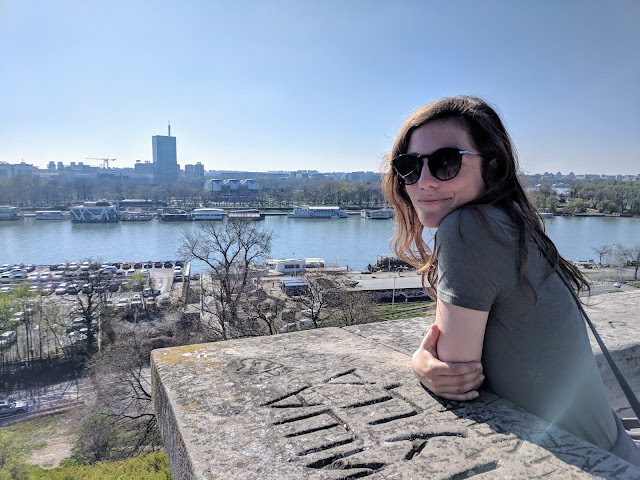 Belgrade's energy reminded us a little of Seattle, actually; a little grungy and artsy, possibly a little tech-y--but then imagine Seattle with a castle and an ornate old town and a bit of socialist history/war. 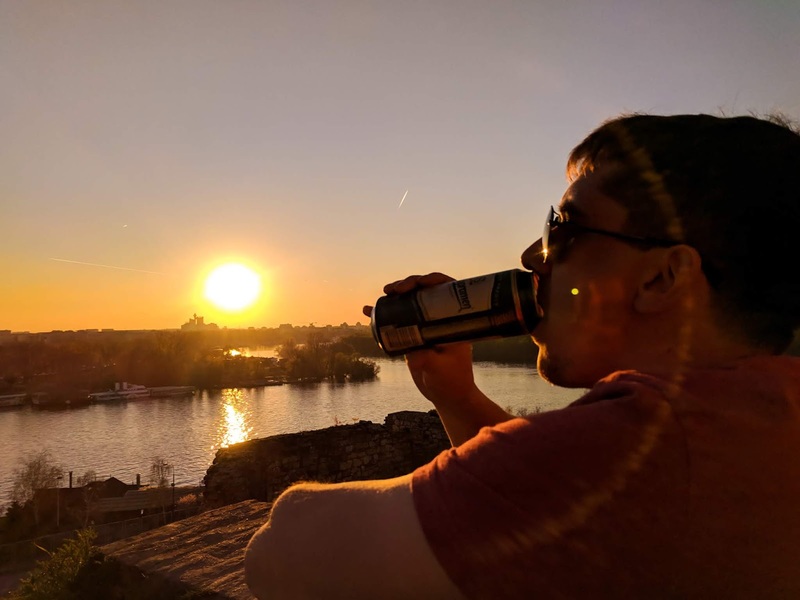 Nothing better than cheap beer and the sunset while sitting on a castle wall. We got the chance to meet up with another traveling couple, Lu and Aaron of Two Paper Boats for lunch. We really enjoyed their company and perspective on travel. They are really wonderful people! They keep a blog and an Instagram, too. This was probably the first time we'd hung out with other Americans in...many months. 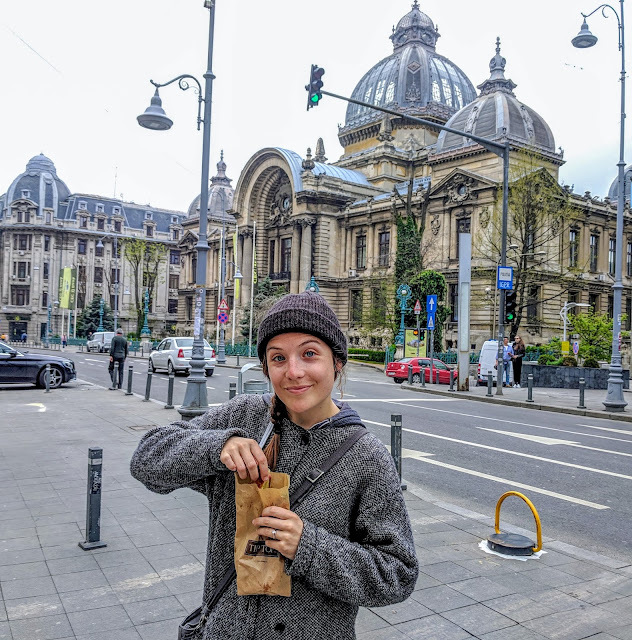 On our last day we were also able meet up with a friend we'd made at our hostel in New Orleans way back in November, Theodora, who lives in Belgrade. She introduced us to her friend, who took us to an "underground theater" where another friend of theirs works. 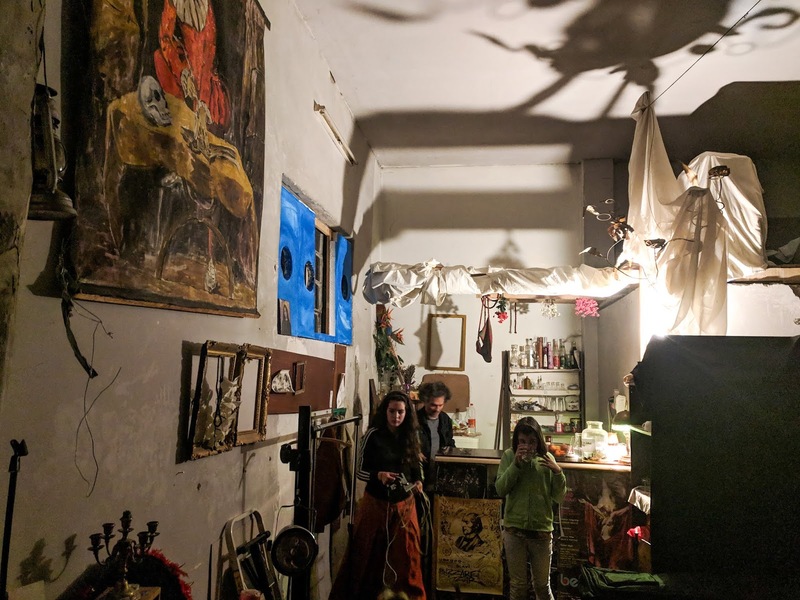 It was tricky at first to find, but was a really neat, community-supported artistic space, not unlike something that our people back home would be involved in. 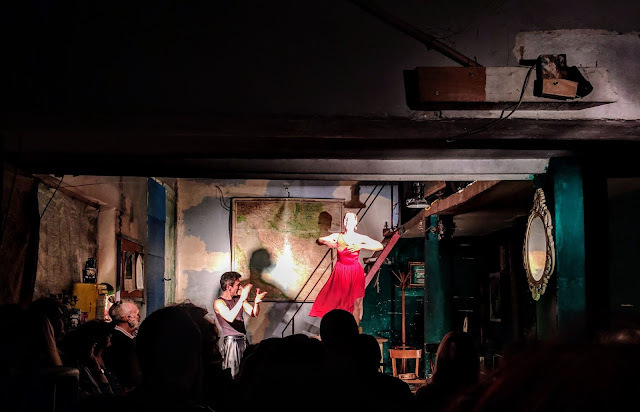 We got to enjoy rakia, some homemade wine, and watch a show by two performers of traditional Balkan songs and dances. The twist was that the performers were a cappella, and kept the beat by stomping their feet and tapping their bodies with their hands. Everyone we met and chatted with after the show were so warm and friendly and funny and welcoming, we were a little devastated it was our last night already. The little bar at the "underground theater." Our phone cameras aren't quite up for the intensity of a spotlight, but you get the idea! But now we are in Bucharest for a little while. The rain should clear up in a few days, just in time for us to shift from this crowded and creaky hostel to whatever we booked next. We fly all the way from Eastern Europe to London the last week in April, which isn't actually that long a flight but will definitely be a dramatic change in culture. We have a Workaway in northern Wales where we'll be helping care for 10 dogs and 12 cats for a month. Our summer plans are just around the corner. Time feels weird these days. And the adventure continues! Six months and one week down, at least six more months and a whole lotta unknowns to go. Just down the street from our hostel in Bucharest. So fun to travel in your pocket! Thanks for taking us all along. Keep the stories and photos coming even if there are infrequent. Big love!